While the 807 stores that closed down following Woolworths’ 2008 collapse are well documented and relatively easy to find on the ground, tracking down stores that shut many years ago can be more challenging. 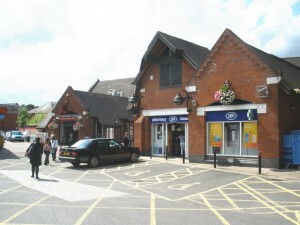 While some buildings, such as those in Crook, Seaham or Horley, are immediately recognisable as former Woolies, many others – especially early stores, or those opened after the 1920s and 30s heyday – bear few, if any, clues to their retail past. 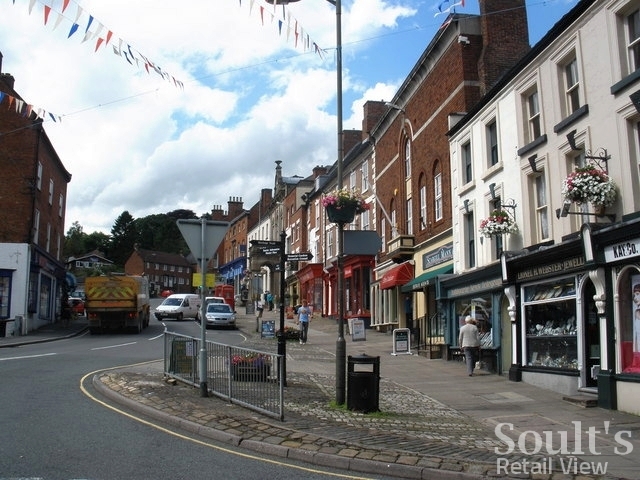 There was a store in Ashbourne – I’m trying to find the photo of it, but to no avail. Google indicates a Listed former Woolworth building at number 44 St John’s Street (this is now a Vision Express store). I have asked someone I work with about this and they reckon the store in Ashbourne closed mid 1980s? Though it’s close to my family roots in Derbyshire, and only 12 miles from Belper, where I visited a couple of weeks ago, I’ve no recollection of ever visiting Ashbourne. However, it’s definitely on my list for a future jaunt, with a town centre that seems to be packed with interesting shops and eateries, lovely historic buildings and overall charm. 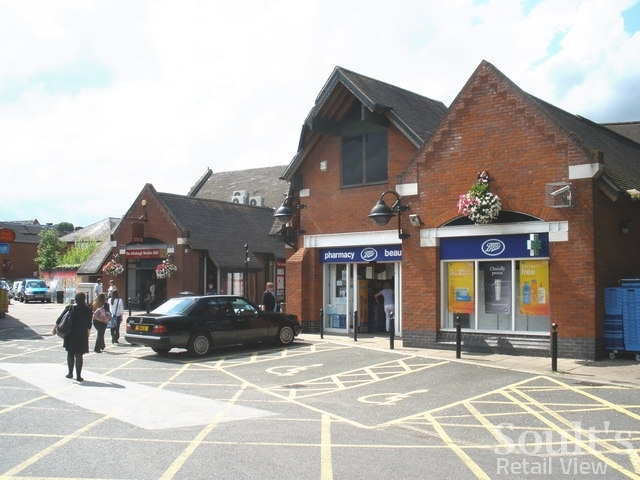 In the meantime, as someone always up for a challenge, I set about trying to piece together any information I could find online about Ashbourne’s former Woolworths. No 42 (Boots, Chemists); No 44 (Woolworths). C18 house – much altered. Red brick, modillion eaves cornice, tiled roof. 3 storeys, 7 windows, sashes without glazing bars. Central Venetian window with tripartite semi-circular window above. Modern shop fronts, Woolworth’s cutting into 1st floor. No 2 and 6 to 44 (even) form a group. Given the apparent references, in the present tense, to the building’s use as a Woolworths store, my impression is that the online record that we see there would have been created at the time of the building’s listing on 25 September 1973. As you can see, the record also makes reference to there being a Boots store – now relocated to the nearby Horse & Jockey Yard – next door at number 42. Having established that Woolworths was still in place in 1973, the next step was to try and find a photograph of the actual store. 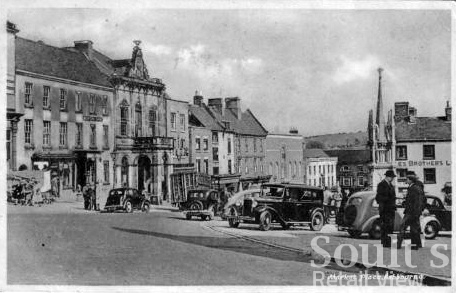 Frustratingly, a trawl of the excellent Picture the Past resource brought up no shot of the old Woolies, despite featuring more than 400 old photographs of Ashbourne. One view, apparently from the 1970s, has the Boots store – with its distinctive logo – clearly visible at the bottom of the Market Place, in a composition similar to the much earlier 1930s postcard below. However, the best photo I came across, described as “late 20th century”, looks to me like a 1980s shot. It is clearly post-Woolies, and shows Boots where today’s Vision Express is and Dewhurst butchers in the unit that is currently a Mind charity shop. It appears therefore (confirmed by more Google searches) that number 44 (i.e. former Woolworths) is actually the Dewhurst/Mind unit rather than Boots, which would have made it quite a small, narrow shop. This is corroborated by the Listed Buildings record which suggests that Boots and Woolworths were both in place at the same time, and, more importantly, by the record’s reference to “Modern shop fronts, Woolworth’s cutting into 1st floor.” If you look again at the 1980s shot, you’ll see that this is the case with the Dewhurst shopfront, with the result that the three first-floor windows to the left of the central Venetian window are out of line with the three on the right. In today’s view, however – as captured by Google Street View – it is clear that the original window positions have subsequently been restored. View the building from the other direction and you can see how new brickwork has been inserted (or the old perhaps cleaned up) where the height of the Mind shopfront has been lowered to match that of the building’s other bays. So, another fascinating old Woolies building – but it would be great to uncover more details of the building’s history as a Woolworths, or to find an image of when it was still in use as a Woolies. 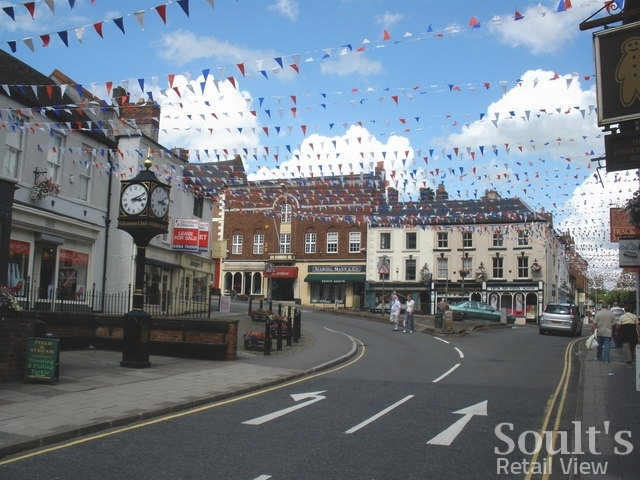 As always then, it’s over to you – are there any Soult’s Retail View readers out there who can help to fill the gaps? 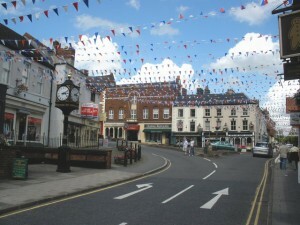 Thank you to Roger Cornfoot for the photographs of Ashbourne town centre, which are © Copyright Roger Cornfoot, and licensed for re-use under the Creative Commons Licence.